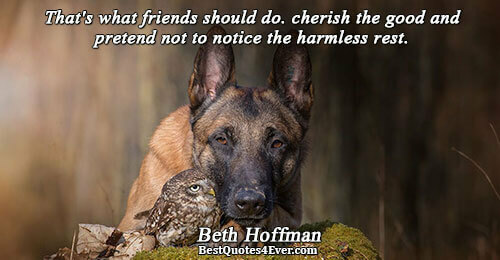 Examples have been laid many times that there cannot be any other relationship as strong as friendship. 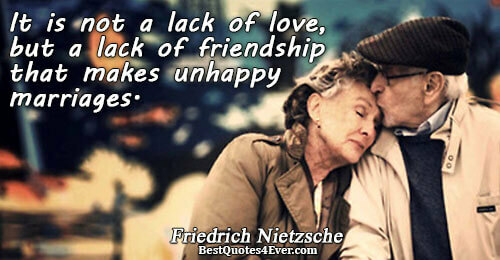 There fights, heart breaks, patch ups and still the friendship go on if it is true. 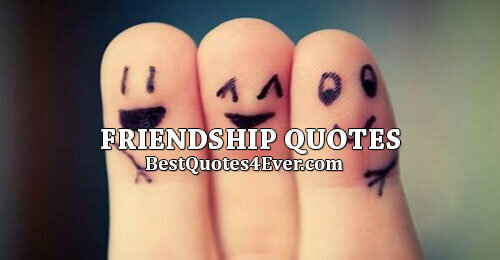 Friendship quotes are about all those cherishable moments and feelings that these two friends share with each other. 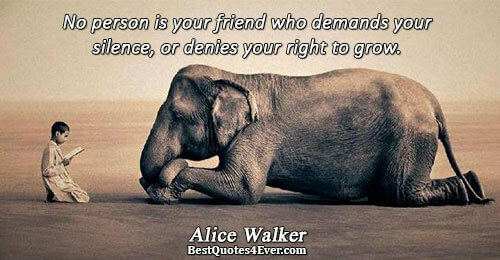 If I had a flower for every time I thought of you...I could walk through my garden forever. 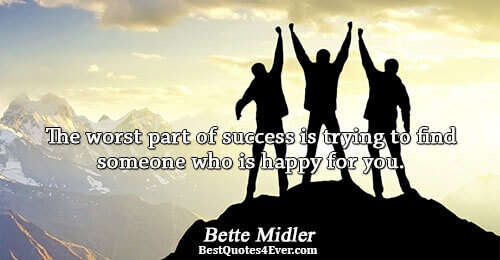 The worst part of success is trying to find someone who is happy for you. 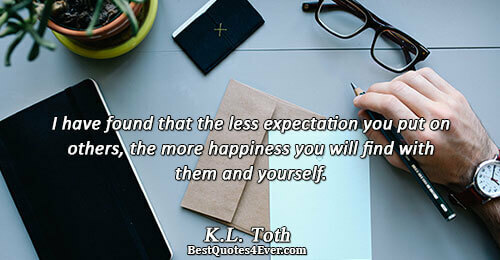 I have found that the less expectation you put on others, the more happiness you will find with them and yourself. 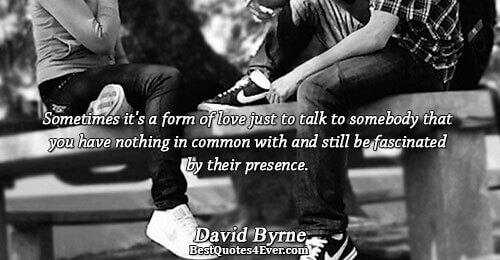 I loved the feeling of finally falling in love to someone who would love me back. 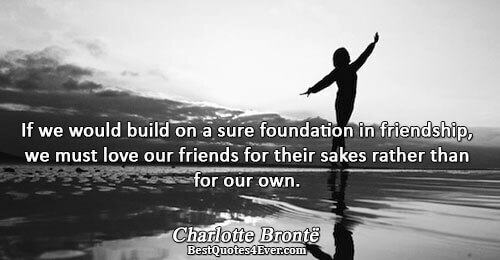 If we would build on a sure foundation in friendship, we must love our friends for their sakes rather than for our own. 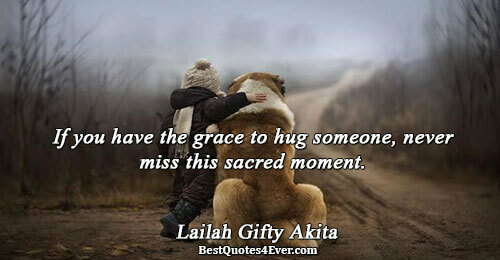 If you have the grace to hug someone, never miss this sacred moment. 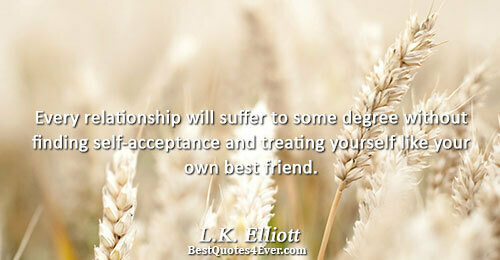 Every relationship will suffer to some degree without finding self-acceptance and treating yourself like your own best friend. 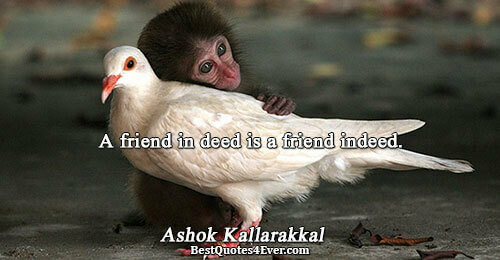 A friend in deed is a friend indeed. I tako shvatiš, da nije važno imati gomilu ljudi oko sebe. 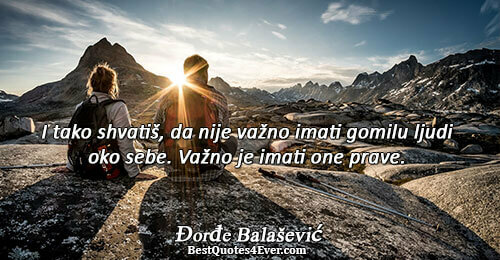 Važno je imati one prave. 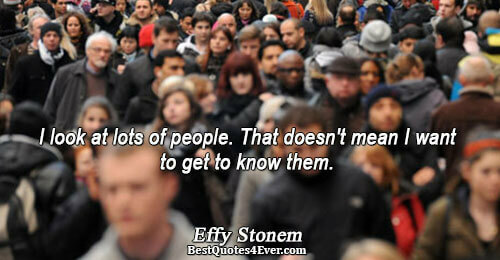 I look at lots of people. That doesn't mean I want to get to know them. 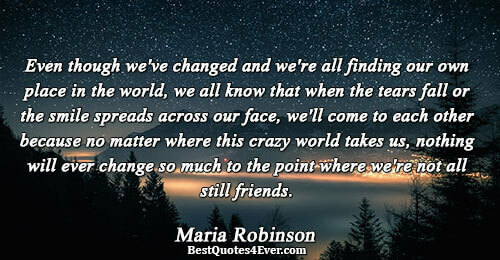 Even though we've changed and we're all finding our own place in the world, we all know that when the tears fall or the smile spreads across our face, we'll come to each other because no matter where this crazy world takes us, nothing will ever change so much to the point where we're not all still friends. 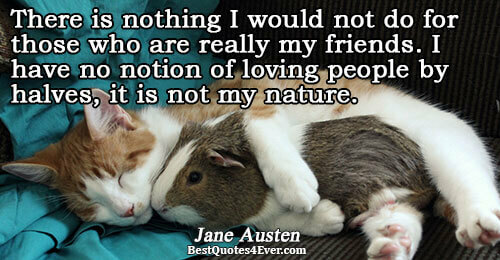 I have so many fabulous friends who happen to be gay, but I am a traditionalist. 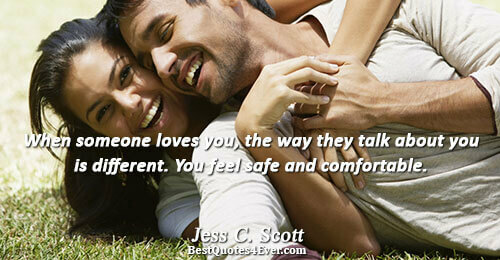 When someone loves you, the way they talk about you is different. You feel safe and comfortable. 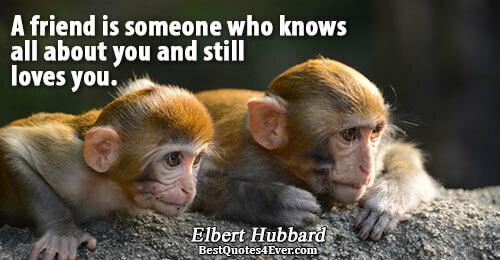 You are my best friend as well as my lover, and I do not know which side of you I enjoy the most. 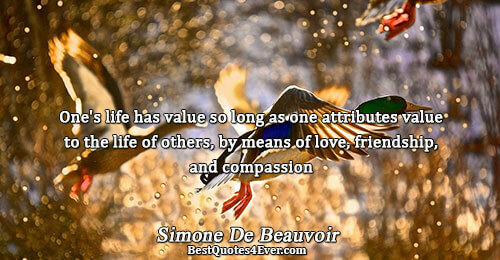 I treasure each side, just as I have treasured our life together.